Copyright 2019 by UN Environment Programme (UNEP). All rights reserved. Human life depends on the benefits the ocean provides for health, well-being and economic growth. But we are using the ocean's resources faster than they can naturally recover. There is a widening gap between the declining health of the ocean and the growing demand for its benefits. Securing healthy oceans and coasts to contribute to sustainable development requires widespread changes in how we manage our activities in and around coastal and marine areas. The need for change is clear as the impacts of over-exploitation, pollution, coastal development and climate change on oceans and coasts become increasingly visible. Strong governance that influences human behaviour and reduces impacts on marine and coastal ecosystems is essential for marine protected areas to be truly effective. This Guide provides evidence-based advice on how to use the governance of marine protected areas to promote conservation and share sustainable marine resources. It has been developed using 34 marine protected area case studies from around the world. It provides a governance framework and highlights key issues in order to address specific governance situations. The Sustainable Development Goals and targets on oceans recognize the need to combine biodiversity conservation and sustainable use, with a clear role for people and the equitable sharing of costs and benefits. 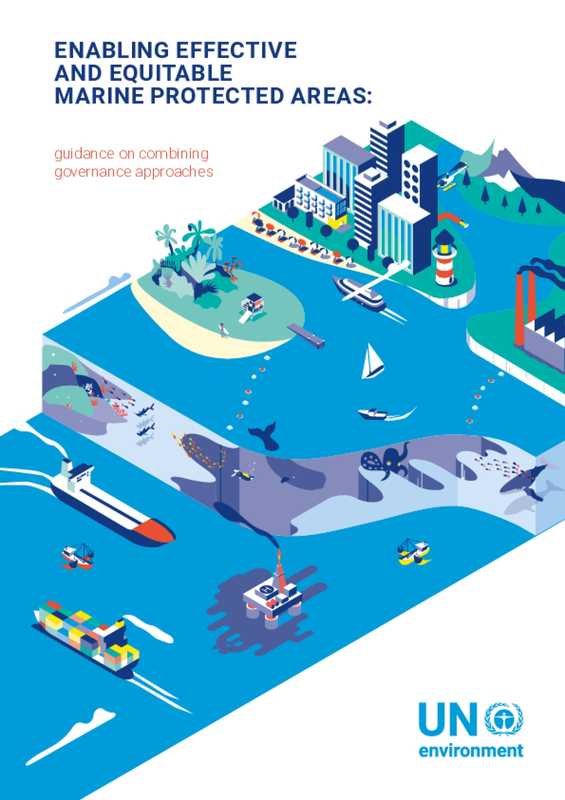 The Guide shows how integrated governance can combine the roles of national governments, local communities, and market schemes to enhance the effectiveness of marine protected areas. There is no "one size fits all" solution. This guidance therefore provides a flexible approach to governance that can be relevant to any marine protected area. The case studies used in the Guide cover a variety of marine protected area types, including no-take, multiple-use, small, large, remote, private, government-led, decentralized and community-led protected areas. They highlight different governance approaches, challenges faced, and solutions implemented to achieve conservation objectives. Further details can be found in the Case Study Compendium that supports the guide. Global in scope, the guide recognizes the essential aspects of gender, class and ethnicity-related equality as fundamental factors to achieving sustainable development goals and delivering effective and equitable governance of marine protected areas. People who can benefit from this Guide include planners, decision-makers and practitioners engaged in marine protected area development and implementation, or those who have a general interest in protected area governance. Ultimately, governing the oceans in a sustainable way could see marine protected areas as a driver - not a limit - for the vital economic and social benefits that we derive from the global ocean.